This research guide is to help you get started using Google Scholar. It included information about setting up preferences and using tools such as Refworks. "Google Scholar uses Google search technology to search for scholarly materials such as: peer-reviewed papers, theses, books, abstracts and articles and more. Results come from academic publishers, professional societies, preprint repositories, universities and other scholarly organizations. Some of the literature will be freely found on the Web, while some links will offer the full-text of articles for payment." Google Scholar can be a useful tool when collecting research information. How do I search Google Scholar? You may search Google Scholar just as you would search Google. Just like regular searches in Google, Google Scholar ranks and lists results according to how relevant they are to the search query. Google Scholar rankings include how often the work was cited. The most relevant references should theoretically appear at the top of the page. If you use the Advanced Scholar Search you can search specific subject areas or limit your search to a particular author, journal, or date. 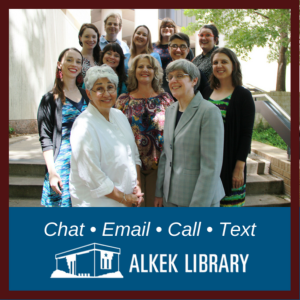 Use the Ask a Librarian service for questions about library resources, research assignments or other information. We offer chat and text, or you can email your question. You may also make an online or face-to-face appointment with a subject librarian. Learn more about individual research consultations. Request a TexShare card through this request form or sign up at the Circulation/Reserve Desk on the main floor. Texshare cards allow you borrowing privileges at many local libraries, including the following participating libraries. All current Texas State students and employees are eligible. Cards are valid for 1 long semester. Materials must be returned to the same library from which they were borrowed. You are responsible for any charges for lost or damaged materials. Students that do not return items will have "holds" placed on their records. This will prevent you from registering for classes, obtaining transcripts or grades, etc. For questions about TexShare contact the Circulation/Reserve Desk at 512.245.3681 or via email. How can I get the full-text if there isn't a link? Click on Find it at TxState to find out if we have the article full-text online or in print at the library. If you cannot access the full-text from Google Scholar, or simply have a journal citation for an item from Google Scholar, search the Periodical List to find it in print in the library, online in one of our databases, or as an e-journal. If the citation comes from a book, you will want to check the Library Catalog to see if the library has it. Tip: Remember that when using the Periodical List or Catalog, search for the title of the journal or the book, not the title of the article. If we do not have the item, you can request the article or book through Interlibrary Loan. We will get it for you from another library. Many of the journal articles can be emailed into your ILLiad account. If you have trouble locating the item, Ask a Librarian. How do I export Scholar citations to Refworks? You can export citations to Refworks. 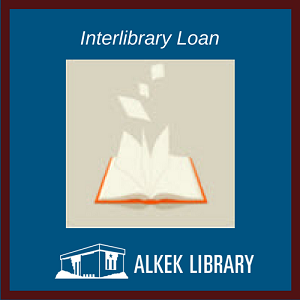 Interlibrary Loan (ILL) is a free lending service available to current Texas State students and employees. ILL borrows items from other libraries that Alkek Library does not own such as journal articles, books, DVDs, CDs—anything you might need for your research. Use the online Interlibrary Loan request system ILLiad to order your ILL items. Enter as much information as you know about the item you need, and the ILL staff will try to track it down. Depending on the type of item you're requesting, turnaround times vary—to be safe, plan to wait a few business days for an article and at least a week for a book. If you need help with making an ILL request or have questions about the process, call the ILL office at 512.245.4893.